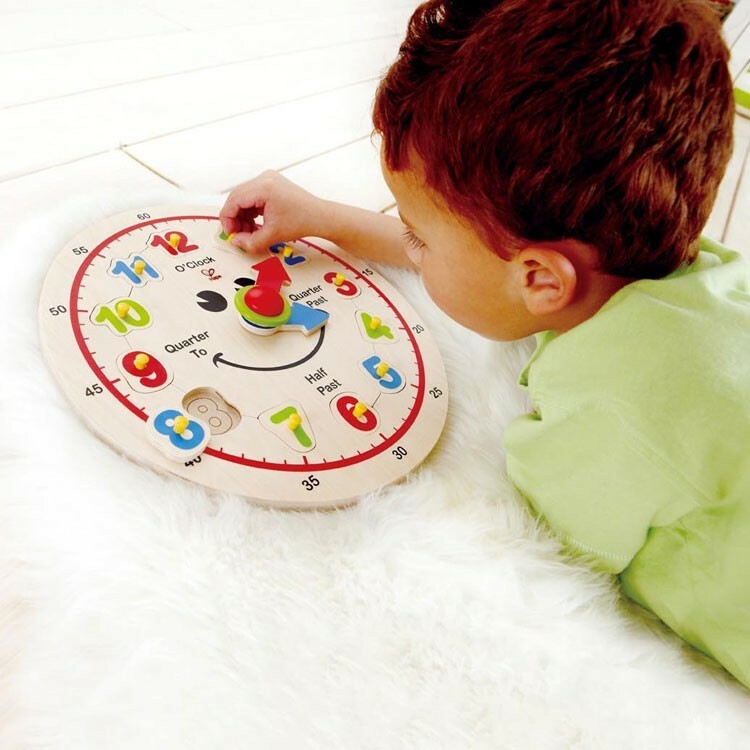 The Hape clock wooden puzzle is an amazing tool for teaching your child how to tell time. 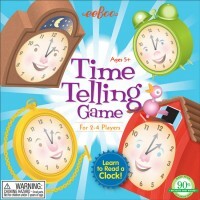 Tick tock, it's time to learn how to read a clock! 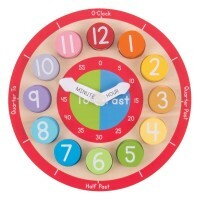 The Happy Hour Clock Wooden Puzzle by HaPe is an amazing tool for teaching your child how to tell time. 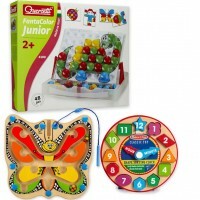 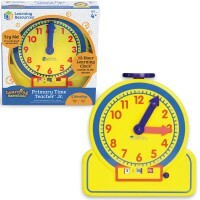 This clock toy from Educational Toys Planet is perfect for children at all different skill levels. As a basic puzzle toy, the Happy Hour Clock Wooden Puzzle features sturdy number puzzle pieces with handy knobs, perfect for introducing young children to numerals and motor skills. 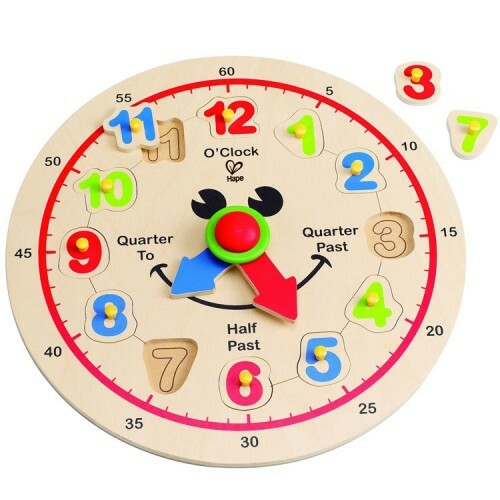 For older children, the wooden clock base also features a minute hand and hour hand, and markings near each numeral that tell you how many minutes correspond to each number on the clock. 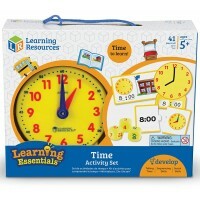 Kids of all ages will easily learn how to tell time, using the Educo clock toy as a reference and learning aid. 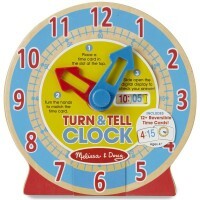 Tell time, in no time! 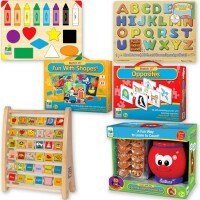 Dimensions of package 11.81" x 11.81" x 1.42"
Write your own review of Happy Hour Clock Wooden Puzzle. 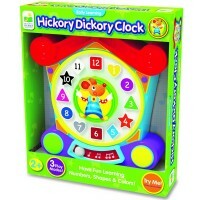 Rating: 4 So far, durable... by Hape Toys Toddler has been playing/throwing it around for 2 months. All pieces still intact.